Bus Accident Lawyer Denver CO - The Law Office Of Richard J. Banta, P.C. If you are hurt when traveling on a public bus, depending on the circumstances of the accident, you may need to file the injury claim against the public agency which runs the buses. It is important to note that there are differences with injury law when it comes to standard personal injury cases and public transportation companies. A bus accident lawyer in Denver, Colorado can explain the differences. If you have been injured in a bus accident, consider contacting a Denver CO bus accident lawyer from the Law Office of Richard J. Banta, P.C. to discuss how we can help. In the meantime, the following is an overview of how this process works. In a standard personal injury case, the victim must prove that the person they are filing their claim against was negligent in order to be successful in their case. Although public transportation injury cases are based on negligence like standard personal injury cases, many municipalities have what is known as common carrier laws on the books. Common carrier is a legal term that refers to businesses that provide public transportation and generally include buses, trains, trolleys, and cabs. In some states, school buses and limousine companies may also fall under the common carrier standard. Common carriers have a higher duty of care to their passengers under the laws of many states, providing the “highest degree of care” to provide customers with a safe transportation. This means the company has a duty to protect passengers that is a greater duty the average person’s duty to act reasonably. Although a state may have common carrier laws, requiring a higher degree of duty, an injured victim – through their Denver CO bus accident lawyer – must still prove that the transportation company was negligent. There is also a difference in how a claim is filed with a public transportation claim and a standard personal injury claim. Many states have specific laws that cover claims brought against state or municipal government agencies. These laws usually require some type of deadline to file a notice of intent for filing a claim – even before the actual claim is filed. These deadlines are often very limited, usually around six months. The statute of limitations to filing the actual lawsuit is often shorter, as well. Many states require lawsuits to be filed with one year after the accident, where standard personal injury claims usually have a two to three year statute of limitations. There is also no requirement to filing a notice of claim before filing the actual lawsuit. There are also very stringent rules in place about filing claims with minimalities. For example, if you file your injury claim with the wrong agency or department, the municipality can bar your claim completely. This is one very good reason why it is a good idea to contact a Denver CO bus accident lawyer to help you in filing your claim. Filing with the wrong agency, using the wrong forms, failing to include the required documentation, are all reasons why you would lose your right to financial compensation for your losses your injuries have caused. If you were recently involved in an accident involving a bus, a bus accident lawyer Denver CO provides may be able to help. Whether you were hit by a bus or received an injury while on a bus, you may be able to claim compensation through a personal injury claim. At the Law Office of Richard J. Banta, P.C., we understand that vehicle accidents happen to the average civilian every day. Bus accidents aren’t as common as passenger vehicle accidents, but when they do occur, the results are often very tragic. Although hiring an attorney may seem costly, the price of hiring one that has experience with personal injury cases may save you money in the long run. When you work with Richard J. Banta, our Denver CO legal team may discuss possible forms of legal action with you and assist you in filing a personal injury claim if this is in your best interest. We may help you pursue compensation for your losses against the person/party at fault, whether it be the bus driver or another party that caused the accident. We are passionate about who we are, and more importantly, about the clients we serve. After a bus accident, it is important to follow these steps in order to ensure that you have the opportunity to collect compensation for any losses related to your accident in Denver CO. Ensure that you and all of the other passengers are safe. Although your safety is of the utmost importance, be sure to check on the safety of those around you. Try to lend assistance where needed, but be sure to keep calm. It is also important to get a medical check-up following the bus accident. Any medical records providing proof of injury will play an important role in evidence during a personal injury case. Do not apologize to the bus driver or any other drivers involved. The liable driver may try to apologize for what has happened and may offer compensation for any injuries following the accident. No matter what compensation is offered, do not accept an apology or offer one to another party involved in the accident. Any form of polite apology extended to another driver might be used against your personal injury claim later on. Get the information of other passengers on the bus. If there are other injured passengers on the bus, be sure to get their names and information. They will be important in the case later on. Call the police. Call the police immediately if nobody else has done so. Get the bus driver’s information. This information will be crucial in your personal injury case. Get evidence and witness information. Any pictures of injuries, medical records from professionals, pictures of the scene, names of any witnesses, or names of street addresses will all be important in a personal injury case. Do not talk to anybody before consulting with a bus accident lawyer. This may be the most important step on the list. Talking to the wrong person after the crash may mean the difference between full compensation and no compensation. Be sure to contact a bus accident lawyer in Denver CO as soon as you are capable of doing so. How Can Seat Belts Help? 12,802 people were saved by seat belts. 73 percent of seat belt wearing passengers in a car accident with a fatality survived. As any bus accident lawyer Denver CO relies on can tell you, a seat belt has a three-point harness with a belt going horizontally across the lap and another belt that crosses the chest diagonally. It is typically relaxed and flexible, but then a mechanism inside the seat belt locks them in place if it detects an unexpected stop. Thankfully, most of the ride is comfortable because you aren’t restrained by the seat belt until the lock mechanism is activated. The seat belt is able to save people by focusing the impact of a crash onto the pelvis and chest, the two strongest regions of your body. They also prevent you from going through the windshield after impact, so they indirectly protect the spinal cord as well. The lap belt should be positioned across your thighs. The shoulder belt should fit comfortably across the chest. Proper use of the seat belt includes using both the lap and shoulder belt. Just the lap belt will not protect someone from a car crash. Both belts should fit securely and comfortably. The lock mechanism should also be operational. Seat belts are often available on buses, but not utilized. 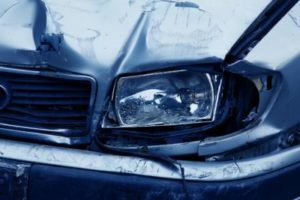 A bus accident lawyer Denver CO trusts can help you decide what legal route to pursue based on what happened in your situation. A rear-facing car seat is the proper way to transport a child under two years old. Only after age two can a child sit in a booster seat that has a high back and a belt going across the chest. It should not sit across the neck or stomach because it could cause internal injuries. Children are not to be allowed to sit in the front passenger seat until they reach 12 years old. If a child is sitting in the front seat, or if car seats are used in the front of the cab, disable the airbags to protect them from injuries. Unfortunately, proper seat belts for children can be difficult to find on buses. A bus accident lawyer in Denver may be able to offer some advice. If you were the driver of a bus that got in an accident with a vehicle using improper seat belts for their children, there are many legal issues you’ll have to address. A bus accident lawyer Denver CO provides can help you sort through them. Air bags are placed in cars as a safety feature, but they should not be relied on. Seat belts are mandatory for safety. When a crash happens, the airbag is supposed to create a cushiony barrier between the driver and the steering wheel and the passenger and the dash. Some new cars have airbags in the doors as well. They do not protect against flying out of the car on impact or being jostled around because they do not function as restraints. In fact, airbags have more potential to harm you if you do not wear your seat belt as well. Seat belts are the primary safety feature in cars and should be worn at all times in the front and back seats. You can never know when an accident will happen on a long or even short trip in the car. Wearing a seat belt could be a matter of life and death — don’t underestimate the power of a seat belt. If you have been the victim of a bus accident and have sustained injuries as a result, please contact us. 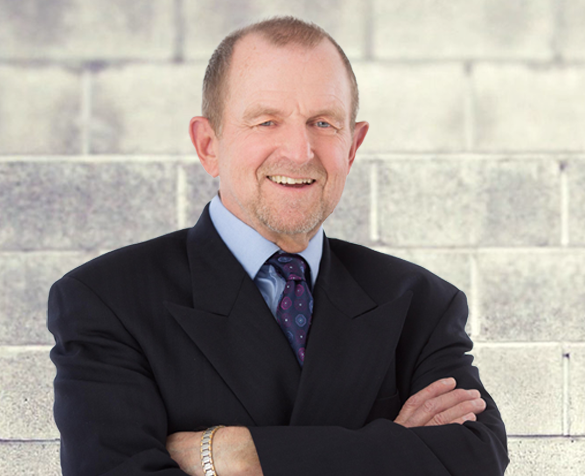 Richard Banta has experience dealing with a variety of vehicle and bus accidents. If you’re in need of help, call Richard Banta, a bus accident lawyer bus accident lawyer Denver CO citizens rely on, today.